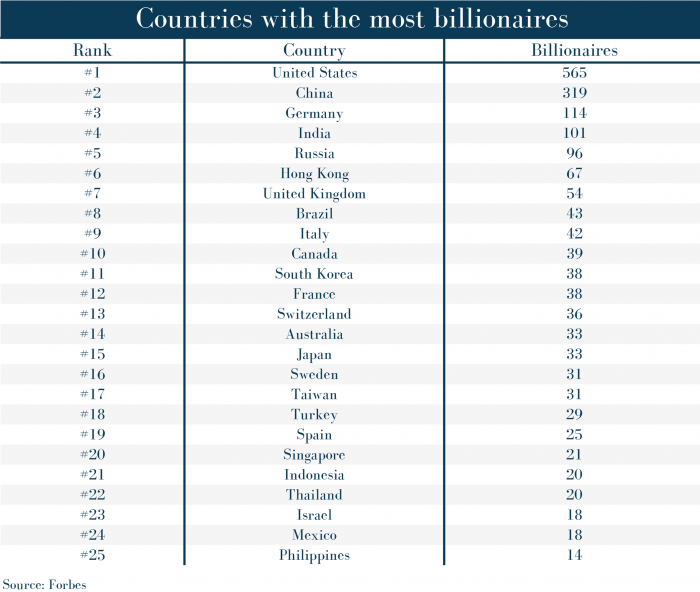 Where are the most billionaires in the world? The answer clearly is the United States, but other contenders might bring a surprise. What’s more, in the statistics of people per billionaire, the US is not even in the Top 5. Based on Forbes’ data, DataMax compelled an infographic showing which countries have the most billionaires. 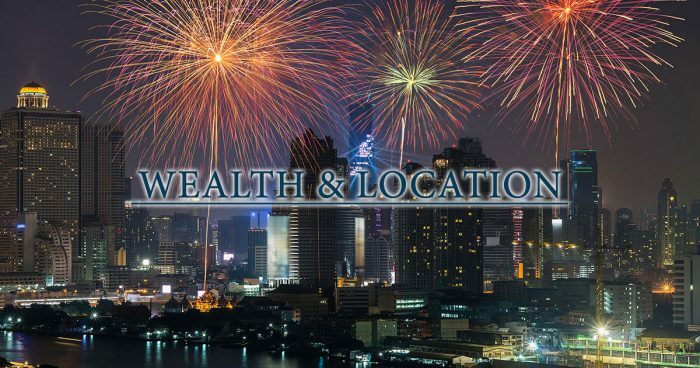 The leader is the United States with 565 people having a wealth of more than a billion dollar, while second is – unsurprisingly – China, which has a growing population of superrich. The Top 25 list, apart from the two leaders, may bring some surprises. Of course, after the US and China, we can find Germany, Russia, the UK and the rapidly growing India at top spots. Other big, economically and historically important countries are there, too. But there are several relatively small countries on the list as well. Among others, Switzerland, Sweden and Singapore has only around or under a population of 10 million, but they still make it to the top list. Hong Kong – which technically is a city with a 7 million population – is also makes to the top. These countries are well-known to be rich, but having that many billionaires is still interesting. 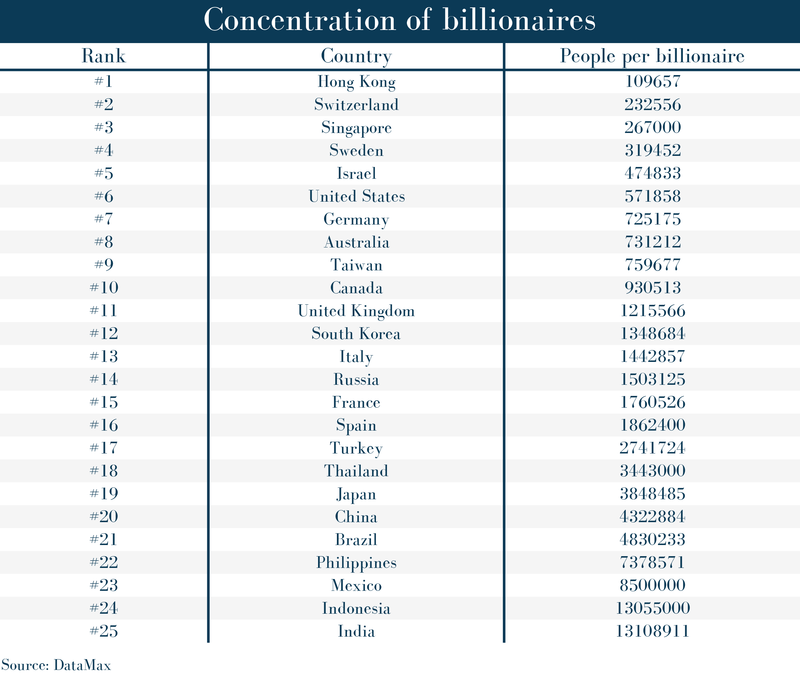 DataMax created another chart as well, to show the concentration of billionaires around the globe. To do this, they compared the number of billionaires to the population of each country. This draws a very different picture of the globe. This data shows that indeed, small but rich countries can take the lead in the concentration of billionaires. The aforementioned Hong Kong, Switzerland, Singapore and Sweden leads by far. It’s important to see, that the global leader United States holds a top spot as well, while Russia, China and India fall back when the number of billionaires is compared to the whole population. As we wrote about it some time ago, China is producing billionaires really fast. According to Business Insider, China produced 80 billionaires in just one year in 2015 and their growth is faster than the US’. Some East Asian sources already stated that China has more billionaires than the United States, but that is probably due to the different methodologies used. China, however, will probably take the lead in time in this regard. Still, the US has the richest people now, since Jeff Bezos’ wealth is around $110 billion. From other countries, only the French Bernard Arnault ($69.2 billion), the Spanish Amancio Ortega ($76.1 billion) and the Mexican Carlos Slim Helu ($69.2 billion) can come close to him, while China’s Wang Jianlin is far off by his $25.5 billion wealth.